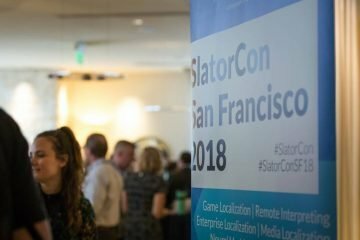 Sold-out SlatorCon San Francisco 2018 (scroll for the photo gallery) was a major success, with 120 language industry leaders gathering together to hear from top class speakers across the industry landscape. From their different vantage points, the speakers unpacked the main themes impacting on the language industry right now, from people to M&A activity, and from the interaction between humans and AI to submarkets in flux. Anna Schlegel, Head of Globalization at cloud storage company NetApp, spoke of NetApp’s journey to becoming a globalized company, and underlined the importance of dealing effectively with C-suite executives to secure buy in and get things done. Lupe Gervas, Localization Manager for intelligent question and answer community Quora, encouraged the audience to take risks in hiring, and screen candidates for adaptability rather than just experience. 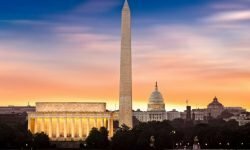 Adolfo Hernandez, CEO of SDL, told SlatorCon how people factors played a part in SDL’s recent acquisition of Donnelley Language Solutions: to implement their strategy of pursuing premium markets, SDL needed “people who have been there, done it and got the t-shirt” – enter the Donnelley team. Hernandez spoke of the complementary nature of people, customers and locations in the Donnelley acquisition; only 3% of Donnelley Language Solutions’ revenue came from common clients. He also said that he expects consolidation to continue in the language industry, though it will not be a winner takes all market. Florian Faes, MD of Slator, described M&A in the language industry as hot but not sizzling, while VC funding in the sector has picked up recently but is modest compared to the challenges faced by the language industry. Three language companies who have secured funding recently provided speakers for the startup panel: Matt Conger, CEO of Cadence Translate, Jeffrey Sandford, Co-founder of Wovn Technologies and Bryan Forrester, Co-founder of Boostlingo, told of their experiences in launching startups, the problems their respective companies aim to solve, and their journey through to securing funding. From startups to long-standing companies, everyone in the language industry is acutely aware of what Slator MD Florian Faes called the “elephant in the room”: neural machine translation. Faes showed where NMT is impacting the P&L of language service providers and said that things are about as good as they are going to get given the impact that NMT is starting to have on unit pricing expectations. SDL’s Hernandez highlighted that there is more to natural language processing (NLP) than just translation, and said that machines will bring understanding, translation and creation in the language industry. Norbert Oroszi, CEO of memoQ, does not see automation as killing off jobs, but credits it with doing something different, something that puts translators at the center of tools and will create time for linguists, project managers and company owners. On the buy side, Sonia Oliveira, Senior Director of Globalization at GoPro, explained that MT has come on leaps and bounds since ten years ago when the technology was “laughable”. Oliveira said that being a video-based and edgy brand does not lend itself to using MT, but that there can be some application in the customer support and chat segments. Ferose V R, Senior Vice President and Head of Globalization at SAP, pictures a bright future for human and AI interaction. Machines will never have the ability to introspect, meditate or be mindful, he said, and there will always be a place for humans in the translation workflow since “the heart of technology is human” and the role of technology is to “elevate rather than deflate humans.” Ferose believes that the future is the “convergence of three things: translation, transcription and voice,” and while voice in particular will come with a significant security challenge, there is a big opportunity for companies in the integration of voice-based APIs. Ferose V R also gave his take on another hot topic, that of disruption and growth markets. SAP’s Head of Globalization foresees massive expansion in previously untapped markets, such as Asia and Africa. Localizing for these multilingual geographies brings its own challenges but there is great opportunity to be found in these longtail languages, he said. Mark Howorth, CEO of media localizer SDI Media, leads a company operating in an industry in transition. He explained how there has “never been a content producer that’s come in and grown as fast as Netflix.” Howorth described how Netflix, among others, disrupted the media industry and “reset the bar on quality”. So much so, he said, that SDI Media had to “put ourselves in the shoes of our customer and say ‘if we were starting from scratch and gave the customer a wishlist, what would they want?’” In doing so, SDI saw a crucial need to provide customers with speed, simplicity and transparency. Another industry in flux is the interpreting industry, which Jeremy Woan, Chairman and CEO of Cyracom said is driven by regulation, immigration and replacement of modalities. The choice of modality, e.g. whether interpreting is done onsite, over the telephone or via video, is context dependent, the Cyracom CEO said. Overall, he sees more of a shift from onsite to telephonic and thinks video is more complex. Asked about the startups operating in the interpretation space, Woan said that building a platform is not the tough part, but managing vendors is the real hard task, especially for newcomers. Stay tuned as we cover the SlatorCon San Francisco 2018 presentations in more detail in the days and weeks to come.